Blaze Fast Fire’d Pizza, the fast-casual artisanal pizza concept known for its chef-driven menu and Blaze Pizza is a modern day “pizza joint” serving up artisanal pizzas that are both fast and affordable. 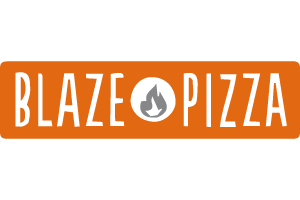 Since its first restaurant debuted in 2012, Blaze has quickly become one of the nation’s hottest restaurant concepts, with fans lining up each day for the custom-built pizzas, freshly made salads, blood orange lemonade and s’more pies. So delicious and fast!